Situated in Ringwood, this bed & breakfast is 4.7 mi (7.6 km) from Ringwood Wesleyan Church and 17.3 mi (27.9 km) from Gloss Mountain State Park. The space was well designed to accommodate a full kitchen with plates, cookware and utensils which was a great plus. 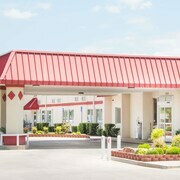 Where to find Ringwood hotels near an airport? Where can I find hotels in Ringwood that are near tourist attractions? 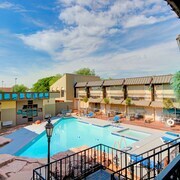 We recommend you book well ahead as there are not many Expedia-registered hotels in or close to downtown Ringwood. The Indian Creek Village Winery is one of the most conveniently situated accommodation options because it is one of only a few choices within a comfortable stroll of the Ringwood center. To enjoy more of the prairies in this region of United States of America, you may choose to plan to spend some extra time in other parts of Northwest Oklahoma. Go horse riding or make a trip to the region's attractions. 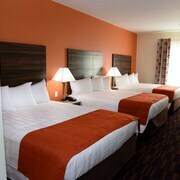 Comfortable hotel options are available. The Gaslight Theatre is a commonly visited tourist destination in this region. Find accommodation in Enid, which is 40 kilometres (24 miles) to the east of central Ringwood. 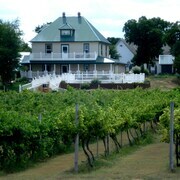 The Southard House Bed and Breakfast Inn and Comfort Inn Midwestern Square are among the choices. If you are into sports and like to watch local games you might choose to make a trip to Mark Price Arena, which is 40 kilometres (24 miles) to the east of Ringwood. 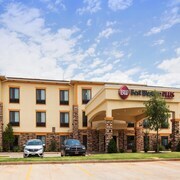 Book accommodation right near the action at the Super 8 Enid or the Baymont Inn & Suites Enid. Located 130 kilometres (78 miles) from Ringwood is Will Rogers World Airport. 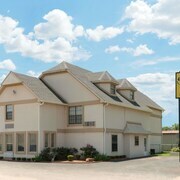 Stay nearby at Quality Inn Oklahoma City Airport or Knights Inn Oklahoma City Southwest. What are the most popular Ringwood hotels? Are there hotels in other cities near Ringwood? What other types of accommodations are available in Ringwood? Explore Ringwood with Expedia.ca’s Travel Guides to find the best flights, cars, holiday packages and more!